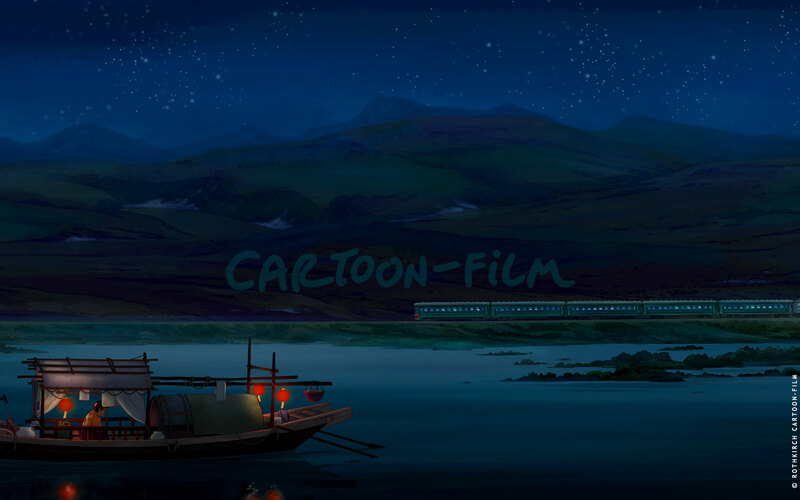 A poetic animated fairytale: Maya and Thilo Count Rothkirch about the production of "Laura's Star". We are children's filmmakers, that's how Maya and Thilo Count Rothkirch describe themselves. That's the standard the Berliners meet with their poetic animated fairytale "Laura's Star" which is freely based on Klaus Baumgart's books and tying in with the experiences of their youngest audience, telling the story in a narrative speed that matches their reception acquirements. Adults also feel entertained by the beautifully animated story and Hans Zimmer's score. Rothkirch/Cartoon-Film's consequent enforcement of this concept was supported by Warner Bros.' Willi Geike. "Without Warner's support, we could not act on our creativity the way we do", Thilo Count Rothkirch emphasizes. "Willi Geike was a part of all stages of our production and made sure that the main target group of four to nine-year-olds was never left out of sight. Richard Fox from Warner home office in Burbank supports this strategy in order to expand distribution beyond Germany." Warner Bros.' support allows the Rothkirchs to produce in Europe. 15 minutes of their film were animated and layouts developed in Budapest at Kecskemétfilm Ltd. Motion Works in Halle delivered 20 minutes of animation and 50 minutes of background material. Animationstudio Ludewig worked on digital 2D/paint pre-compositing, Animationfabrik GmbH worked on compositing, 2D Animation and editing, Cometstone was responsible for 2D consulting and layouts. In Berlin, 30 minutes of material were animated at Rothkirch/Cartoon, backgrounds created and the pre-production conducted. "It was a conscious decision to produce everything in Germany and Hungary," Maya Countess Rothkirch emphasizes. "With the support of many sponsors and Warner, the budget is just financially feasible. All negotiations with Warner primarily circled around the quality of the film." Since nearly a decade the Rothkirchs count on adapting children's bestsellers because the characters have already been introduced to the market and thus raise the chances to be successful in movie theatres. The concept first worked with "Tobias Totz and his Lion" which Piet De Rycker already directed. This cooperation was continued three years ago when "The little Polar Bear" came to cinemas. "We also learned from Polar Bear and increased our honesty in producing for our target group. The story is more stringent." At the same time, they exactly know the viewing habits of movie beginners. "We don't want to overburden children with fast cuts, action or interlaced storylines during their first movie experience. That's a mistake made by adults who think they need that. As a result, we are looking for stories that are not based on the typical evil vs. good conflict but tie in mythically with the childrens' every-day experiences and afflictions", Maya Countess Rothkirch explains. Five drafts with different approaches to the story were developed. The filmmakers chose the storyline which captures the feelings of adolescents with great honesty and has a mythical level that is essential for that age group.